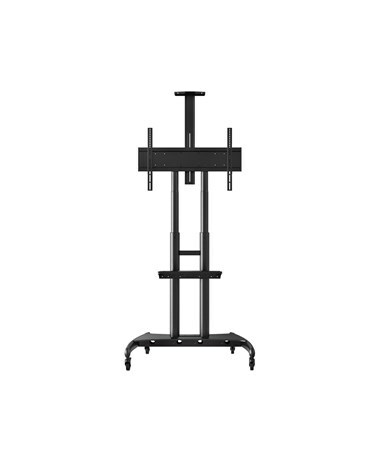 Adjustable height of 48" to 65"
The Luxor Adjustable Height Large Capacity LCD TV Stand is a tough and stylish stand ideal for office conferences, trade shows, and classroom presentations. It has a weight capacity of 200 lbs and can hold 40 to 80-inch flat panel TVs. 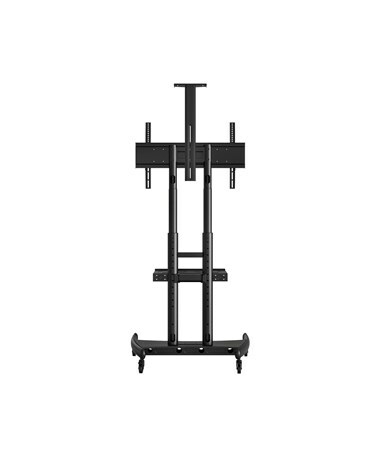 With a push of a button, its height can be adjusted in two-inch increments from 48 to 65 inches. 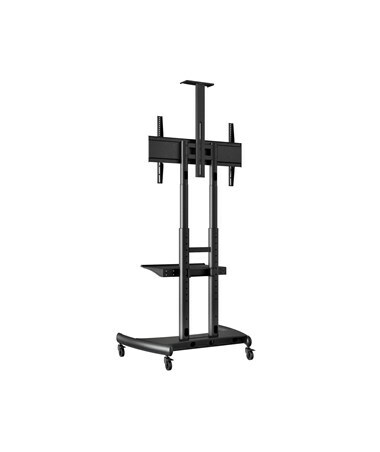 It includes a 19 5/8"W x 10½"D shelf that can hold up to 25 lbs and a camera mount that measures 10"W x 5"D.
This space-saving TV stand provides cable management that runs through the inner-column to keep cords hidden and organized. 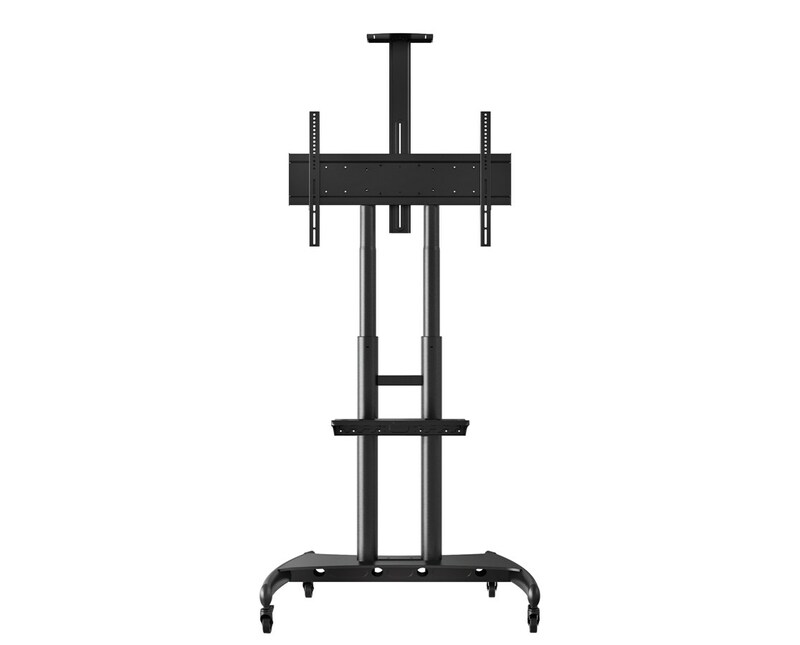 It also features four two-inch casters with locking brakes that allow smooth rolling of the stand from place to place. 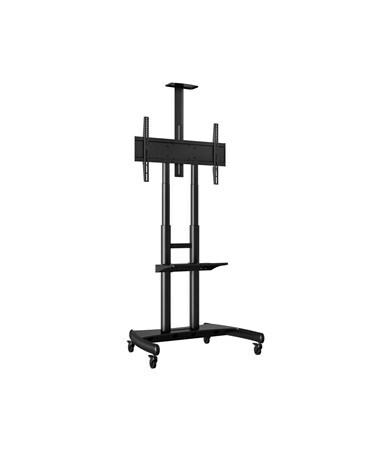 This TV stand is made from seamless steel pipes with powder coat paint finish and built to comply with the VESA Mounting Interface Standards.